The resurgence of Perth has attracted significant attention of late. Earlier this year Baz Dreisigner of the New York Times was quoted as saying “could a city really be so easy, breezy, green and pristine – so positively livable? I’d thought Williamsburg was hipster heaven; it pales beside Perth.” We here at .id are also turning our attention westward with a series of blogs profiling the demographic characteristics of Western Australia and considering its future. 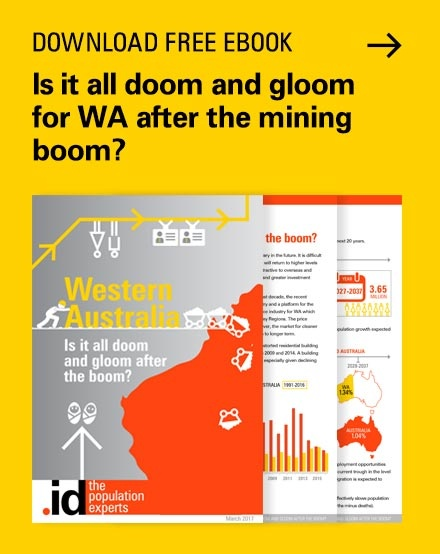 If you are based in Perth and interested in the changing dynamics of WA and what it will look like in 2021 and beyond, please come along to our seminar “Boomtown. How fast and in what ways is WA growing?” on October 22nd. Register here. With a population of almost 2 million, Perth is the fourth most populous city in Australia. 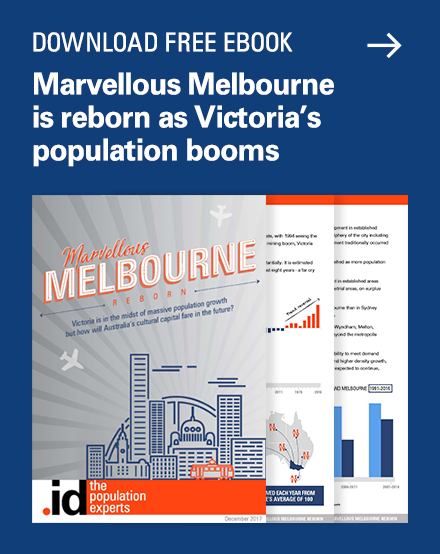 Many readers will be aware of the high levels of population growth experienced in Perth in recent times, fueled by the mining boom and increasing levels of overseas migration. 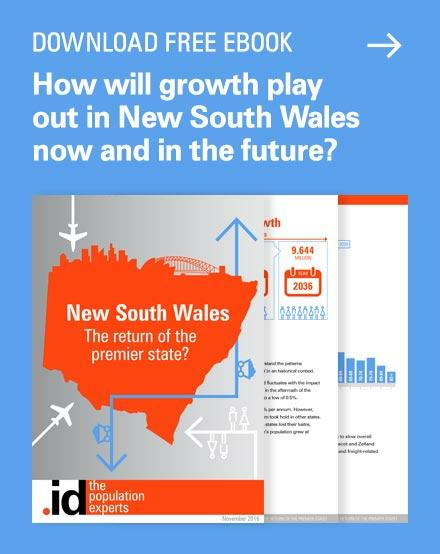 Indeed, in percentage terms, population growth in Western Australia is the highest of any Australian State or Territory, reaching 2.9% in 2013 and Perth is one of the fastest growing cities on the Australian continent. Between 2006 and 2011, over 210,000 new residents were added to the population. However, despite the large numbers, growth across Perth hasn’t been uniform. 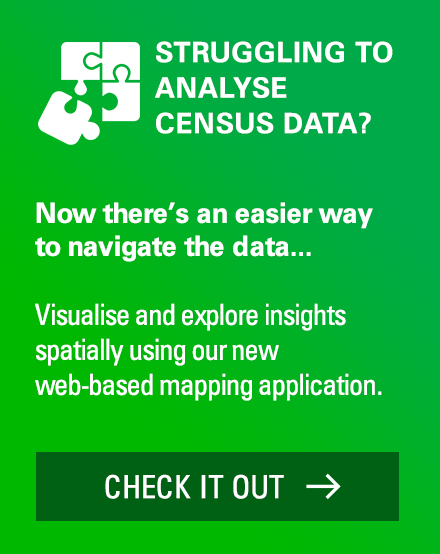 Here we use a map generated in our .idPlacemaker application to look at the distribution of population growth across metropolitan Perth between 2006 and 2011. An analysis of SA2s shows the highest growth in absolute numbers was in the north-eastern growth corridor of Ellenbrook (located within the City of Swan) which grew by almost 10,000 residents over the 5 years to 2011. Ellenbrook was closely followed by growth in the south-east growth corridor, around the Baldivis area (City of Rockingham), which added close to 9,500 residents in the same time frame. 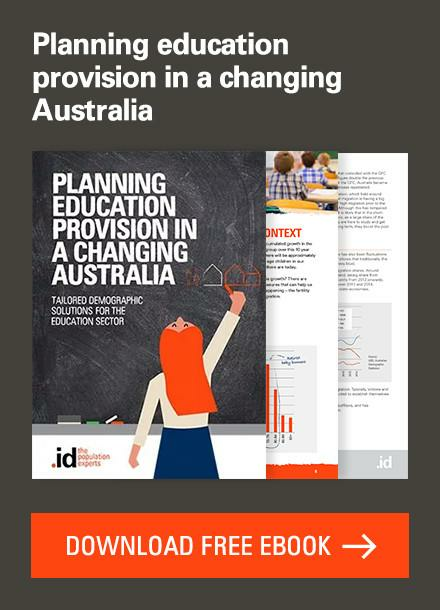 Perth is growing very strongly at the urban fringe, in the LGAs of Wanneroo, Swan, Rockingham, Kwinana, Cockburn and Armadale. It is predominantly a low density city, with almost continuous suburban development from Two Rocks in the north to Dawesville in the south, a stretch of almost 150km of coastline. Inland, Perth doesn’t stretch so far, but places like Byford in Serpentine-Jarrahdale provide more affordable first-home buyer housing in inland areas, and more established bush suburbs like Kalamunda extend through the Darling Range which separates coastal Perth from the inland wheatbelt areas. The urban heart of Perth is also growing strongly, with the City of Perth doubling in population in the last 8 years. Over 20,000 people now call the inner city home. Other neighbourhoods with strong growth included the Perth City (7,900) and areas within the City of Wanneroo, including Butler-Merriwa-Ridgewood (7,400) and Madeley (7,100). Not everywhere in Perth is growing, however. Perth is a young city, with most suburbs having developed since the 1960s – one thing you notice as a visitor is the volume of large, relatively recent housing in sprawling suburbs not far from the city centre. Many of these were built through the 1980s and 1990s and are now showing population decline. For example, the suburb of Woodvale (City of Joondulup) experienced the largest population decline, losing some 550 people. This was precipitated by low levels of residential development and an aging population profile. The suburb is failing to gain any more families but is losing young adults and some empty nesters. It is fair to say that this once booming area is well past the end of its development phase. Its age profile is a classic, with older parents and children in their late teens to 20s dominating – these children are now leaving home. 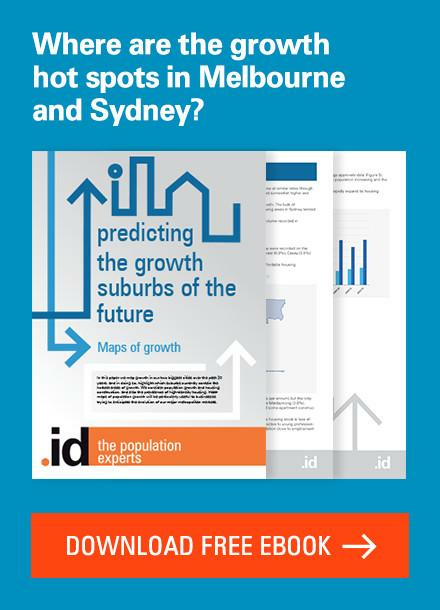 The middle ring suburbs of Perth have fairly stable populations but even these are changing. They are ageing but increasingly multicultural, attracting people from all over the world to some Perth suburbs. The next blog in our series on Perth will examine the topic of multiculturalism in Perth. Did you know Perth has a higher proportion of overseas born residents than Melbourne or Sydney? Watch this space to find out more. In the interim, visit our demographic indicators series to understand the changing population of your city. In our next blog in the WA series, we will turn our attention to the future. 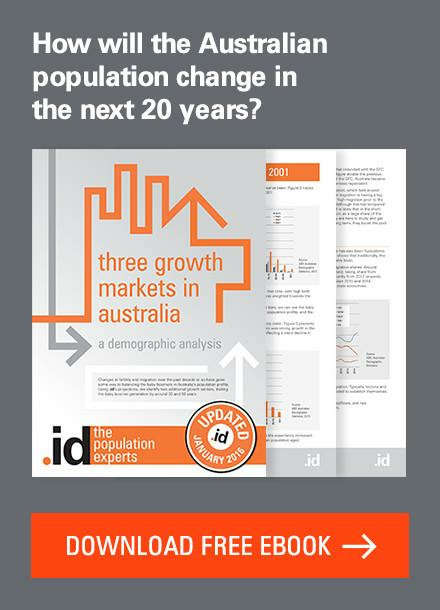 In the meantime, if you would like to find out more about how Perth’s population is changing, download our ebook below. 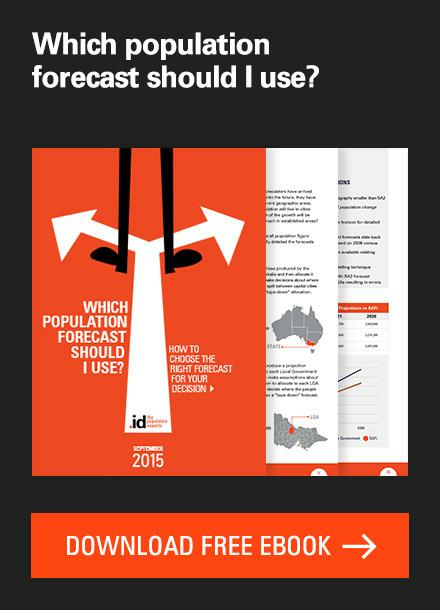 Previous story Why are the population figures different in profile and forecast.id?